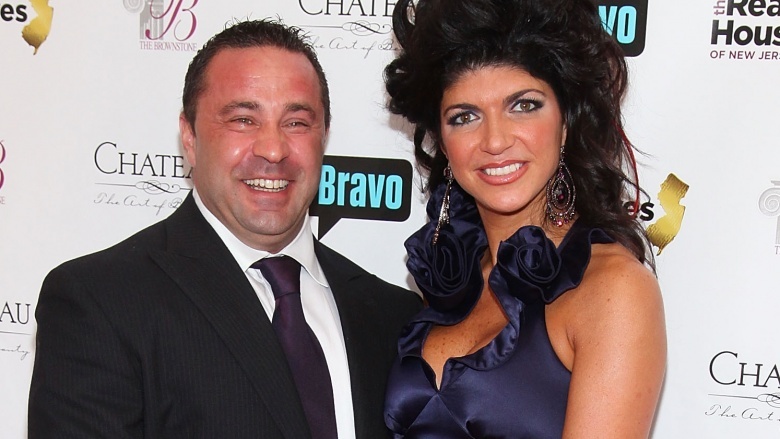 Joe Giudice is such a bad husband, it should be criminal, and in some ways, it is. He's really that horrible. Here are just a few of the reasons Giudice isn't just one of the worst husbands in the entire Real Housewives franchise, but also in the entire world. 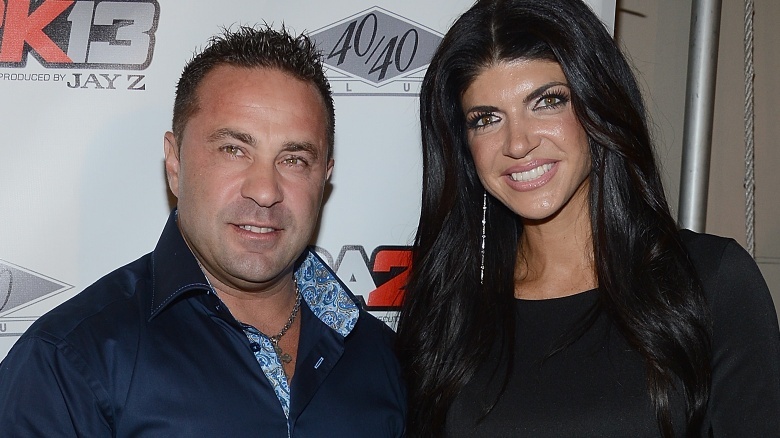 When he's not cheating the IRS, Joe Giudice reportedly cheats on his wife, Teresa, left and right. A source told Life & Style, "[Teresa] isn't stupid, she knows he cheats. But she won't leave him. Teresa comes from that old-school Italian philosophy that says men have needs and appetites. She just wishes Joe were more discreet about it." Bravo cameras caught Giudice referring to Teresa as his "b**** wife," among other colorful, unflattering things, in a summer 2012 episode of Real Housewives of New Jersey. Teresa was so embarrassed that she begged the network not to air his rant, which took place over the phone with an unknown listener. Teresa seems a bit in denial about the severity of the incident, letting her husband off the hook somewhat with an explanation on her blog: "I can't make any excuses for what Joe said to me…he's never called me that name before, and he doesn't remember saying it." Teresa tried to wave off Joe's cruel rant as the result of too much booze. "We were in the wine capital of America drinking heavily… Alcohol + camera = not a good idea," she wrote in her blog. "I don't know why the camera (and alcohol) brings out the worst in him…it just does." Hey, newsflash: it's because he's The Worst. 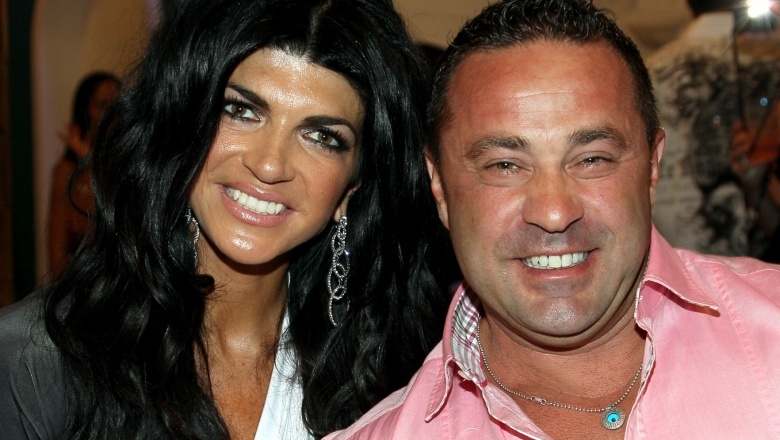 In a May 2012 episode of Real Housewives of New Jersey, Joe made it clear just how much he hates his wife's brother, Joe Gorga, as well as the rest of her family. "You're a f***ing idiot for even going to f***ing talk to your f***ing retard brother…We can't get along with those people. They're jealous, no-good idiots. I don't want to hear about them any more. When I say something, you f***ing listen—and shut up!" It didn't end there: Joe also threatened to dump his wife if she dared try to get him to interact with her relatives, telling her, "Try to get me around your family, just try it. I'll leave you as well—I swear to you on my kids." Cameras caught Joe lashing out at his daughters for his own mistakes. In an October 2015 episode, Joe drops his phone into a pond on his family's New Jersey property. He dropped a slew of F-bombs at his situation in general, then told daughter Gia, "If I get bit by a snake, I'm going to kick your a**!" She wasn't alone in his rage; he targeted daughter Milania next, kicking a stream of mud at her. He later fumed in a confessional scene, "I never had to do anything like this with the kids. It's very exhausting. After a full day of hanging out with my kids, I think anybody would drink a bottle of wine at night!" When Teresa was preparing for her prison stint, the Queen of the Hairline reportedly didn't trust Joe to not cheat with the help she was hiring to care for their kids. Us Weekly reports that when Teresa was on the hunt for a nanny, she had specific requirements. "She wants someone who doesn't pose a threat," a source told the mag. "Especially now that she's not giving him physical attention. For a few weeks, Teresa was phoning agencies, looking for a 'chubby' nanny. She knows Joe prefers thin women. She'd feel safe with someone a bit dumpy." The source continued, "She started contacting agencies, asking for a gay 'manny,' but she was told asking a person's sexuality isn't appropriate." Uh, yeah. Just in case you forgot, Joe is a felon. Both Giudices pleaded guilty to fraud in March for hiding assets from bankruptcy creditors and submitting fraudulent loan applications. Joe also pleaded guilty to failing to pay taxes totaling more than $200,000, as well as to unlawful use of an ID and misrepresentation. The latter resulted in Joe's driver's license being suspended for two years. He's expected to serve 18 months in prison. Joe never bothered applying for U.S. citizenship. Because of his fraud convictions, Page Six reports that he'll likely face deportation at the end of his 18-month-long prison sentence. Considering Teresa and her daughters work and go to school stateside, this doesn't bode well for their marriage. If Teresa can't trust him not to cheat when she's in prison a few hours away, what does she think will happen when he's in another continent?